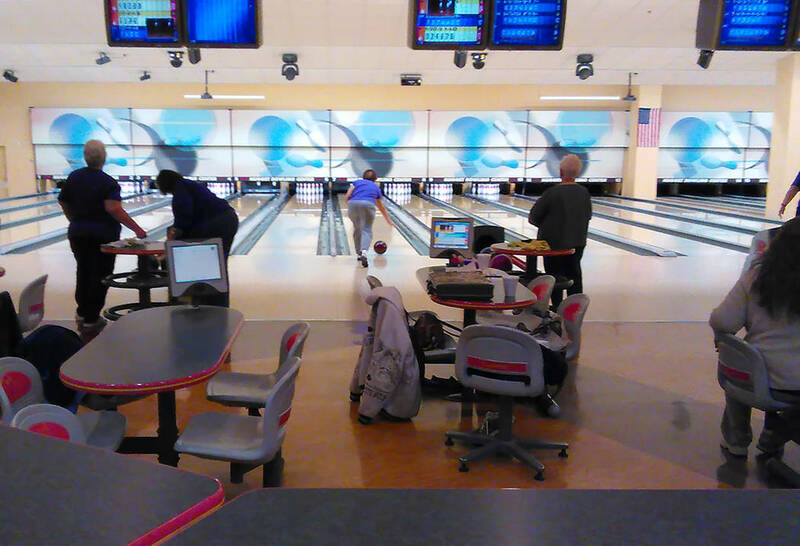 Selwyn Harris/Pahrump Valley Times The Pahrump Nugget Bowling Center hosted its latest perfect game Jan. 23 when Jim Evans rolled his fifth 300. Evans rolled games of 208 and 204 before getting the 300 in his final game of a 712 series. Evans had flirted with perfection one week earlier, rolling nine consecutive strikes before settling for a 278. He actually rolled a better series that night, riding eight consecutive strikes to a 246 in his opening game and finishing with a 733 series. Bowling center manager Lorie Hartwell said the perfect game was the Evans’ fifth.